This incident shows the negligence attitude of sewer management authorities for keeping open drain in one side and domestic electrical item manufacturers for providing unproven equipments in the areas prone for such corrosive attack. Ultimately the public is affected for paying more money on AMC and loosing the life of their electrical and electronic items. There is no warranty given by the manufacturers for corrosion issues. They design the equipments to a set of conditions that they assume OK for all environments. This is not true in reality. 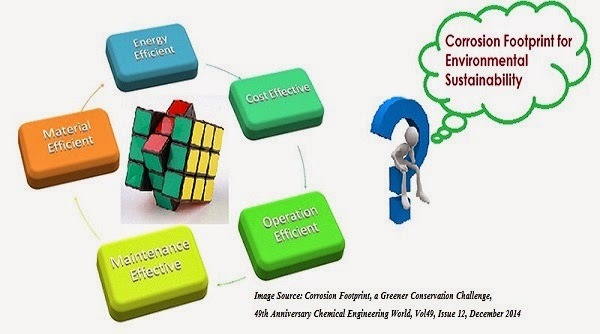 They have to work closely with the public as well as the material selection and corrosion control community to find cost effective answers. There is a little focus for corrosion control in industries like oil production, refining, power and chemical process industries since it directly affects their productivity. Every drop of oil is counted for its financial and industrial value. When drinking water is wasted due to corrosion induced pipeline leakage, every drop of water is not counted for its public value. It is not only the loss of water, but also leading the way for impacting public health and costing greater financial loss. This situation is true for properties like housing, domestic appliances, medical implants and electronic gadgets owned by the public. Equipment manufacturers should involve the corrosion control community right from the design through to the implementation and maintenance of such items. Our research institutions and government agencies should shoulder more responsibilities to resolve such public problems through collaboration with various resources and encourage Corrosion awareness for public. I request the editorial team to include Corrosion as one of the keywords for such news.